Challenging Experience was established in 1991 by it's owner and founder, Adam Sela, who still plans operates ans guides alot of the activities and trips. The vast experience accumulated over the years guiding jeep tours, hiking and mountain biking, together with an infinite knowledge of the area, enable us to custom plan and run tours which suit the individual desires, needs, and budget of each and every client. Whether you seek an action packed "EXTREME" adventure or a slow and leisurely hike supported by camels, or perhaps just a short two hour jeep tour to see a few of the highlights, or maybe an in depth ecological tour where you will see and learn about desert agriculture and the interaction between it and nature, or maybe you would like................ the horizon is the limit, and desert horizons are famously distant and wide. We will be happy to plan an itinerary for you, free, and make you an offer that you will find difficult to turn down. We look forward to sharing a "Challenging Experience" with you in the near future. 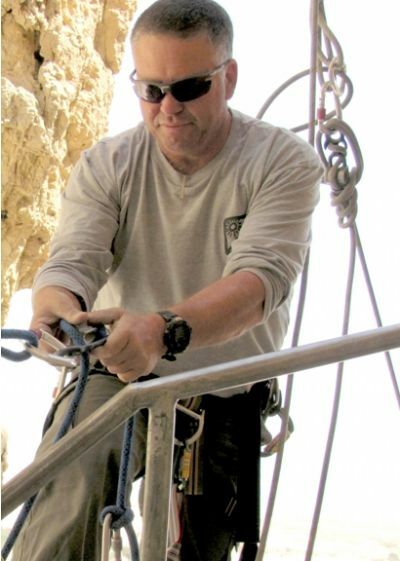 This site contains information on our activities including jeep tours in Israel, jeep tours around the Negev, jeep tours to the Ramon Crater (machtesh), hiking in the crater, jeep tours to the Tzin Wilderness, jeep tours in the Eilat mountains, jeep tours in the Judean Desert, camping trips, rappelling, out door training and much more. For more information or a specific price quote please contact us.